Climb to the breathtaking brink of this iconic waterfall pouring to the valley floor thousands of feet below. Tight switchbacks take you through the oak understory to open vistas. The railing and wonderful sweeping views of Yosemite Valley, including Half Dome, let you know you’ve arrived at Columbia Rock. 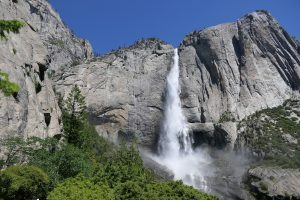 The Upper Yosemite Fall doesn’t come into view until you traverse around the wooded ridge into the canyon. The brink of the fall comes into view first, then the entire waterfall is visible as you approach its base. You’ll switchback up out of the canyon and pass the junction for Eagle Peak, then cross over a seasonal stream to another junction. 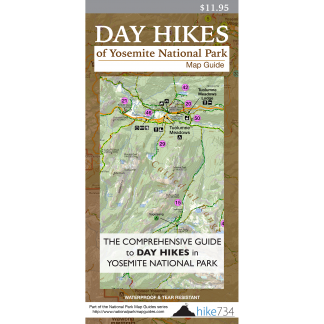 Trailhead: Take the free bus shuttle to the Camp 4/Yosemite Falls stop #7 or park at the Yosemite Falls parking area near Camp 4.